Having a routine, big or small, can greatly improve your health. It’s true! Humans are creatures of habit, and according to Northwestern Medicine, setting routines can lead to better mental and physical health, improved stress levels, better sleep and more. Skincare is no exception - often, in our search for the next skincare miracle, we lose sight of the fact that simply cleaning, moisturizing, and exfoliating our skin regularly can significantly improve the health of our skin. If you’re skipping the basics - using makeup wipes instead of actually cleansing your skin, for example, or not washing your face before bed - even the most advanced skincare products or treatments will not be able to give you the skin you want. You might get more ideas later in this post. Intentionally and mindfully incorporating healthy habits into your routine can greatly improve your overall health and help kick-start other goals. And remember, if it’s not working, adjust. Adapt your routines to your needs, your work schedule, or even seasonal effects (like different skincare products in the summer vs. winter). We’ve said this before, but unfortunately, those makeup removal wipes don’t replace a good face wash. Make it a point to set your skin free every night, and follow these steps — a la skincare pro Stacy Cox — on how to wash your face the right way. Renee Rouleau, celebrity aesthetician, told Spotlyte about the importance of applying a moisturizer immediately after showering or cleansing your skin. “You have [approximately] a one-minute window before moisture starts to evaporate. Skin cells are like fish and need water to live,” Rouleau says. If you’re using a hyaluronic acid-based moisturizer (such as our favorite, SkinMedica’s HA5 Rejuventating Hydrator), leave a little water on your face before rubbing it in. The water-loving compounds in the serum will moisturize more deeply this way. This one can be tempting. Next time you cleanse your face, resist the urge to use this morning’s shower towel to dry it. The bacteria (and products you put on your body like fragrances, moisturizers or hair products) don’t mix well with the sensitive skin on your face. When possible, use a fresh cloth and toss it in your laundry pile after the day’s over. At the very least, clean it after two uses and keep it grime-free by making sure it dries completely after use. Pro tip: Get a stack of several hand towels that you use exclusively for your face so that you always have a clean one available! There’s no better feeling than jumping into a bed with clean sheets, and it’s great for your skin too. Your face spends around 50 hours a week in contact with your pillowcase, which means it has a significant impact on your complexion. Do yourself a favor and drop your pillowcases in the washer two or three times a week. It might add another load of laundry to your list, but believe us, it’s worth it. 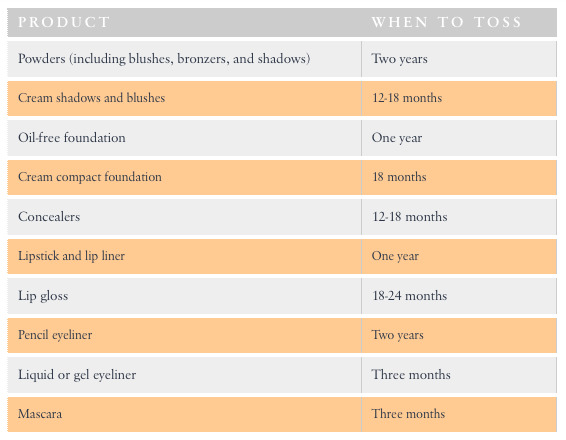 We’re all guilty of keeping makeup well past the expiration date. Who actually tosses their mascara in the recommended 3-month time frame? According to a Stowaway Beauty and Poshly survey, that number is less than 1 in 5 women. In fact, more than 80 percent of women don’t discard their makeup when it’s expired. But here’s the thing: cosmetics trap bacteria. According to Spotlyte, a recent study showed that 79 percent of expired beauty products were contaminated with infection-causing bacteria. Yuck. So check the labels, check the consistency and the open date of your products, and consider a clean sweep of your makeup bag — it might be time to toss. Bacteria swarms your screens and can end up on your hands and face. Dr. Majewski carries these lens cleaning wipes (Amazon, $27 for 400 wipes) everywhere he goes. Keep germs and breakouts at bay by wiping your phone, computer keyboard, iPad, and everything in between. So you’re guilty of over-plucking — the past is the past. Set a goal to work on your brow game this year and step away from the tweezers. Eyebrows help frame the face and complete your overall look, so work on growing them out. Intimidated? Schedule a professional brow wax and shape - our aestheticians can help encourage your brows to grow in in a desirable way, so you aren’t tempted to over-pluck again. 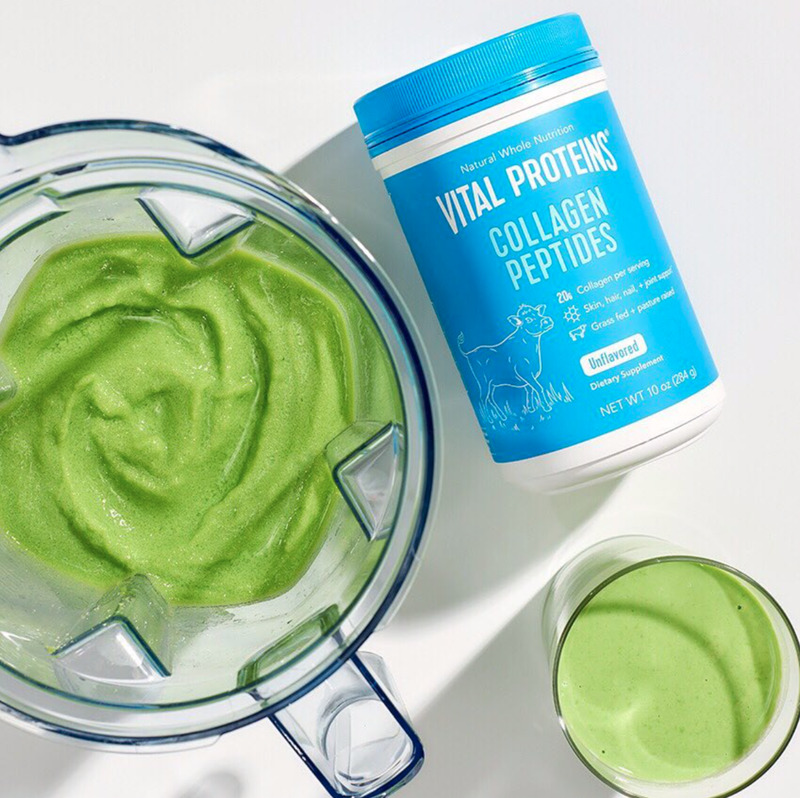 Collagen is a protein that binds tissues, long considered the “Fountain of Youth.” Try adding a collagen supplement like Vital Proteins Collagen Peptides ($43) to your daily routine. It’s good for growing healthy skin, hair and nails and is virtually tasteless, making it an undetectable addition to your morning smoothie, coffee, or even water. Plus, it packs more protein per calorie than other protein sources - helping to reduce cravings throughout the day! Sleep is food and fuel for your brain, body and skin. It affects everything from collagen growth to skin hydration and texture. Try taking small steps to catch more zzz’s, like setting an alarm to head to bed, or not watching that extra episode of Friends on Netflix (bonus points if you eliminate all TV watching in the bedroom!). Every single skin type can benefit from the topical addition of hyaluronic acid, an incredibly effective moisturizer that can hold 1,000 times its weight in water. Hyaluronic Acid serums, like SkinMedica’s HA5 Rejuvenating Hydrator ($178), are generally more concentrated, which means they penetrate the skin barrier. HA5 includes a cocktail of five different forms of hyaluronic acid, and according to this skin expert, it’s so packed and hydrating that it might just replace your moisturizer. Pro Tip: Add a touch of water to your hand before massaging it into your skin to maximize its hydrating benefits. Water replenishes your body and your skin. Give yourself a goal here, like drinking two full glasses of water when you wake up, before you go to bed and before every meal. Or try one of these adorable and functional water bottles to encourage hydration throughout the day. Sunscreen is one of the greatest factors in protecting your skin from cancer-related issues and premature aging (wrinkles! brown spots! lax skin!). Make the addition of sunscreen a part of your everyday skincare routine, not just on beach days. We recommend SkinMedica’s Total Defense and Repair Sunscreen ($68), which protects against UVA, UVB, and infrared rays while encouraging your skin to regenerate damaged cells. 15. No Tanning Beds. Whatsoever. Not to scare you, but according to the Skin Cancer Foundation, people who first use a tanning bed before the age of 35 increase their risk for melanoma by 75 percent. With self-tanning lotions and products galore, there’s just no reason to risk it. A sun-kissed look is easy to achieve without the risk! Diet plays a major role in the overall health and look of your complexion. Make it a point to increase your fruit and veggie intake daily — experiment with veggie noodles, swap your side of fries for fruit, add greens to your smoothie or sub lettuce for a carb-heavy wrap — and you’ll help your skin retain its moisture and glow. 17. Sweat It Out - Then Wash Your Face! You know that exercise is good for your body, but did you know that it’s also great for your skin? "Blood carries oxygen and nutrients to working cells throughout the body, including the skin," says Marmur. In addition to providing oxygen, blood flow also helps carry away waste products, including free radicals, from working cells. Contrary to some claims, exercise doesn't detoxify the skin. The job of neutralizing toxins belongs mostly to the liver. "But by increasing blood flow, a bout of exercise helps flush cellular debris out of the system," Marmur tells WebMD. "You can think of it as cleansing your skin from the inside." Exercise can also help your skin for another reason - many skin conditions are exacerbated by stress. Exercise can help to alleviate stress, reducing stress hormone production in our bodies and therefore alleviating the effects of these conditions. When you’re making small changes, you often don’t see immediate results - which can make it difficult to stay motivated. Taking progress pictures is a great way to analyze changes and stay motivated - whether you’re trying to lose weight, organize your home, or improve the health of your skin. To see your skin’s progress, take a well-lit photo of your face (or ask someone to take it for you). Then set a reminder in your phone to take follow-up photos after set periods of time - one week, one month, two months, etc. Store the photos in an album on your phone so you can reference them and discuss them with your aesthetician. Keep tabs on what works and what doesn’t, how your skin reacts to certain products and how small changes like using fresh towels, washing your face every night and keeping up with a skincare regimen positively affect your skin. 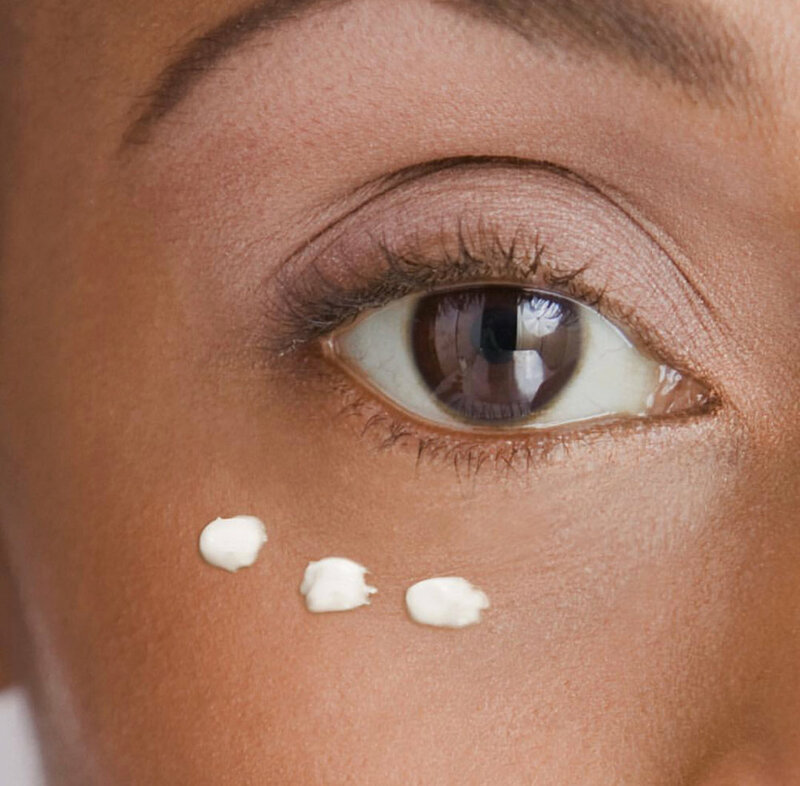 This small practice can help you feel more in control of your skincare than ever before! With the millions of skincare products, treatments, and tips out there, it’s easy to feel intimidated. We can help! Our expert aestheticians can answer all of your skincare questions and give you solid advice to give your skin what it needs to look its best. Our skincare consultations are always free - so schedule a consultation. We’ll be happy to help!